Katie and Ben Masters in Spring Creek Basin. 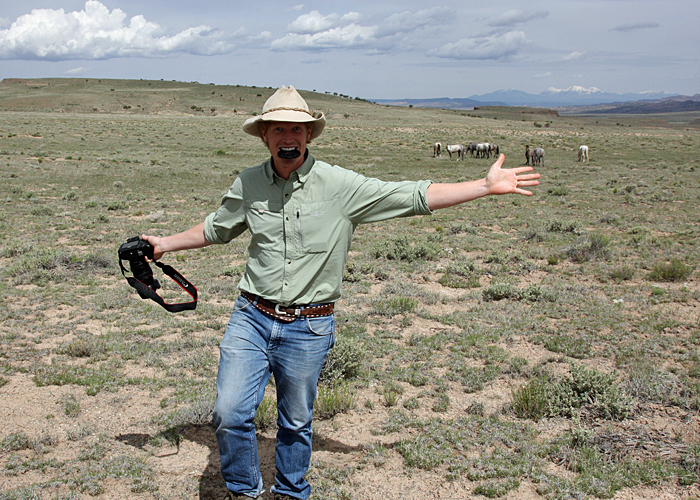 The “Unbranded” crew may not have ridden through Colorado, but ahead of Telluride’s Mountainfilm festival last weekend, Ben Masters and his very lovely wife, Katie, came to Spring Creek Basin to see our “beautiful” mustangs. 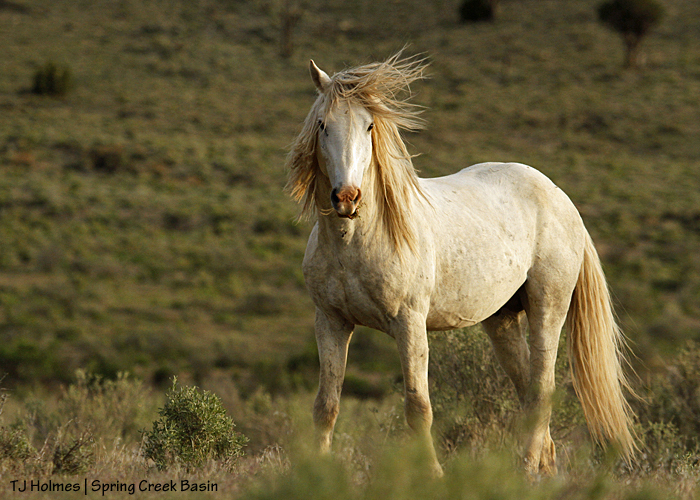 We talked about wild horses and wild burros and public lands and challenges and solutions. As you might imagine, Ben’s mustangs, partners in his and friends’ trip of a lifetime, have made him a mustang advocate. “Unbranded” has catapulted him into a unique position of being respected by a variety of disparate interests. 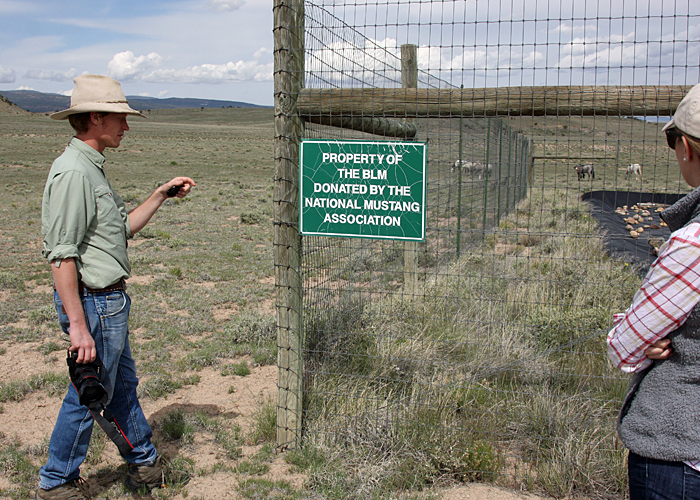 Ben checks out the NMA/CO sign on the water catchment in Spring Creek Basin with Katie. One does not travel from Mexico to Canada with mustangs and friends alone. It requires preparation and support from numerous people along the way. When traveling across public lands with a pack string and a camera man (at least one), one needs permits from the government: the Forest Service, the Bureau of Land Management, the National Park Service. Observant travelers notice the tread of others on those lands, and Ben and Ben and Thomas and Jonny were no different. To say they made the most of their observations and appreciation of America’s remarkable public lands is a huge understatement. 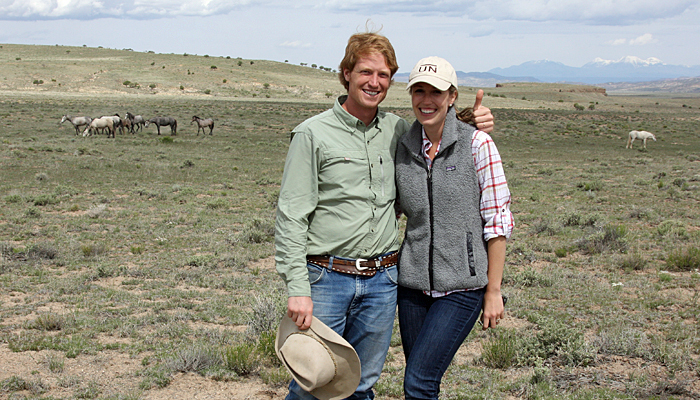 Katie and Ben enjoy a wonderful visit with beautiful mustangs in the basin. “Unbranded” is a journey story, and like all good journeys, it includes challenges and obstacles and perseverance and education. 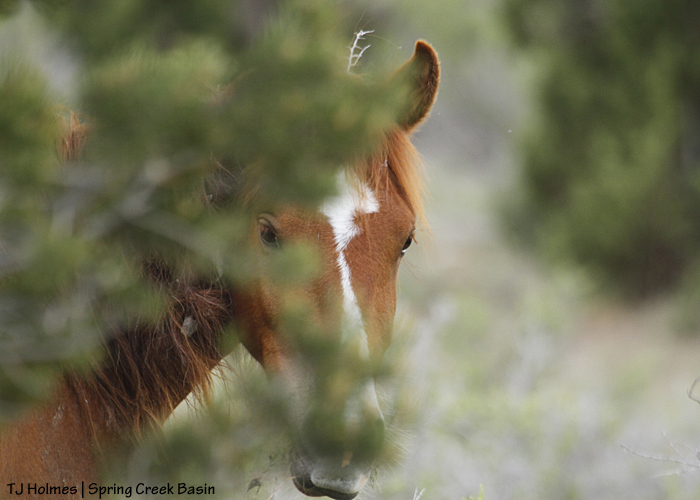 While their physical journey may have ended at the Canada border, their education is ongoing, and their search for solutions for America’s wild horses and burros likewise is ongoing. Ben was pretty stoked by his visit with our mustangs! Not surprisingly to the sold-out crowds fortunate enough to see “Unbranded” in Telluride (350 people in line were turned away from the Saturday showing after the theater filled), the film won the Audience Award. This was the second film festival for “Unbranded”; it was the second Audience Award. Ahhhhhhhhhh-mazing! 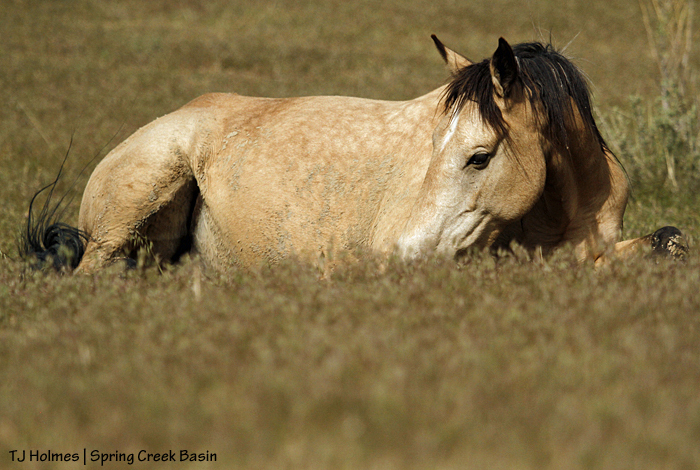 Ben … mustangs … a wide-open place. 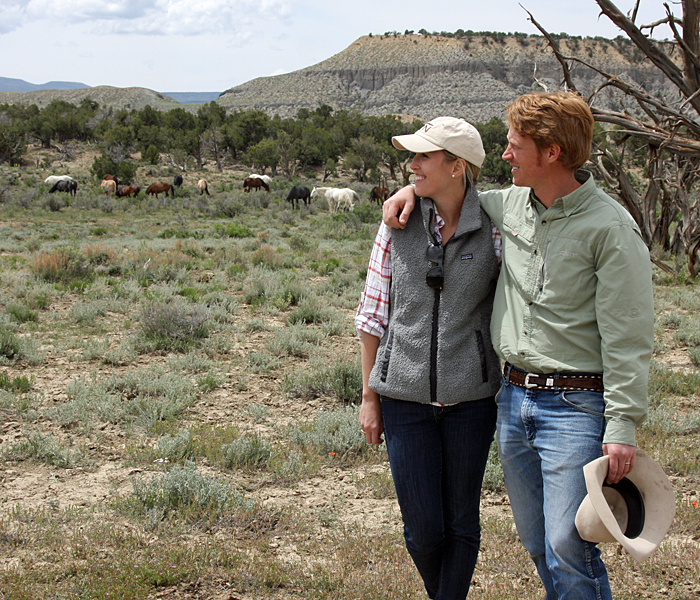 We were so fortunate to meet Ben and Katie Masters and some of the rest of the “Unbranded” crew. What an amazing film. 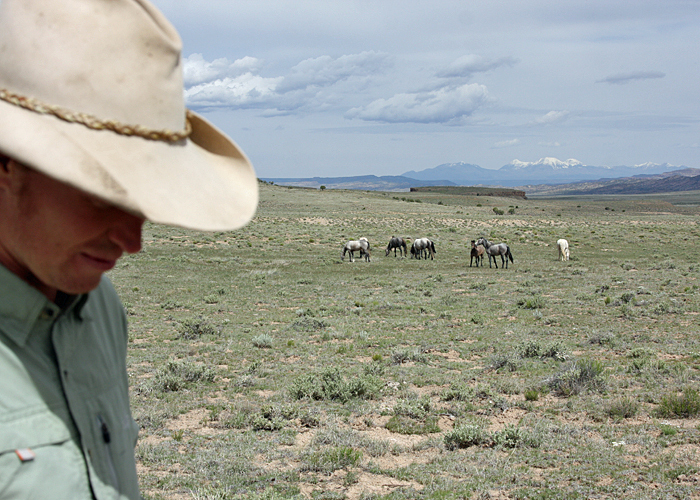 They’re carrying an important message, as Ben says, to show the worth of America’s mustangs. A picture is worth a thousand gold coins – a leprechaun’s treasure – eh? 🙂 Tesora seems to be searching for the elusive end of the arch. Golden rain brings the green, but we’re not wet enough deep in the soil to make it collect in ponds. 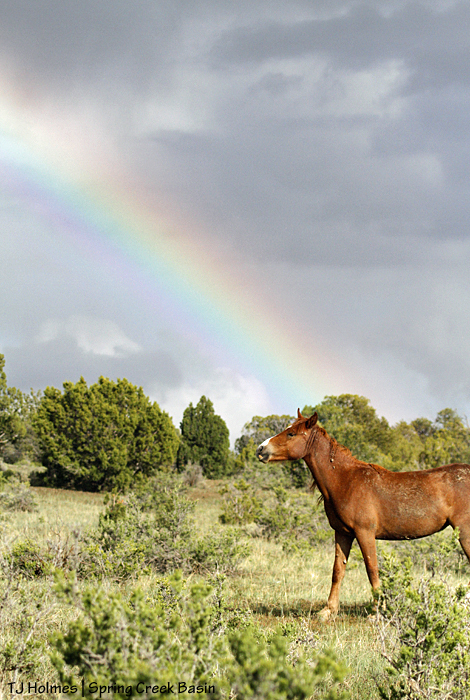 Interesting weather patterns this spring, and the moisture – any at all! – is beyond welcome! 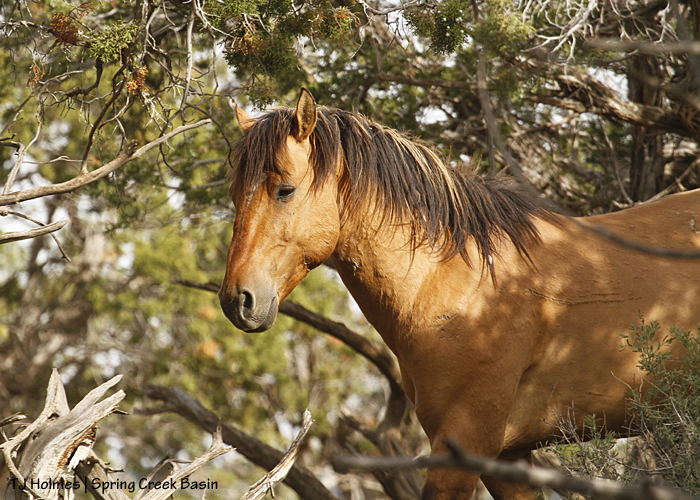 His coat gleams like burnished copper as he walks through an island of light in a little pinon-juniper forest. 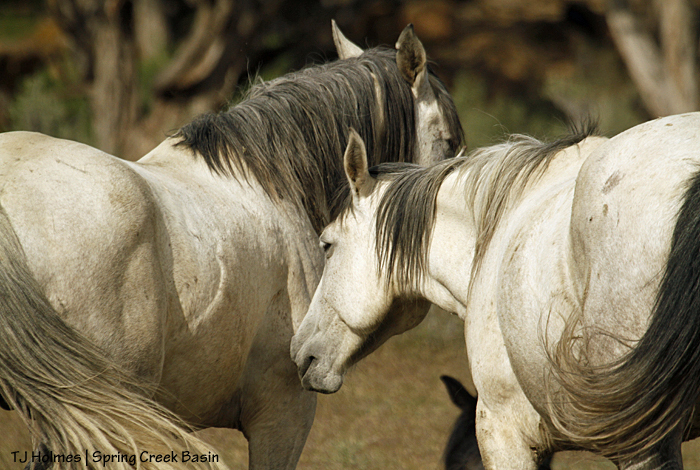 Just a quiet moment of comfort between wild horses in Spring Creek Basin. There are so many of these moments … so many more of these than of strife. Something for which to strive. The late-afternoon sunlight was too perfect to resist – so pretty Kestrel didn’t. Naps = good – for every age! Oh, the boyish toss of the forelock. It must drive the girls wild!